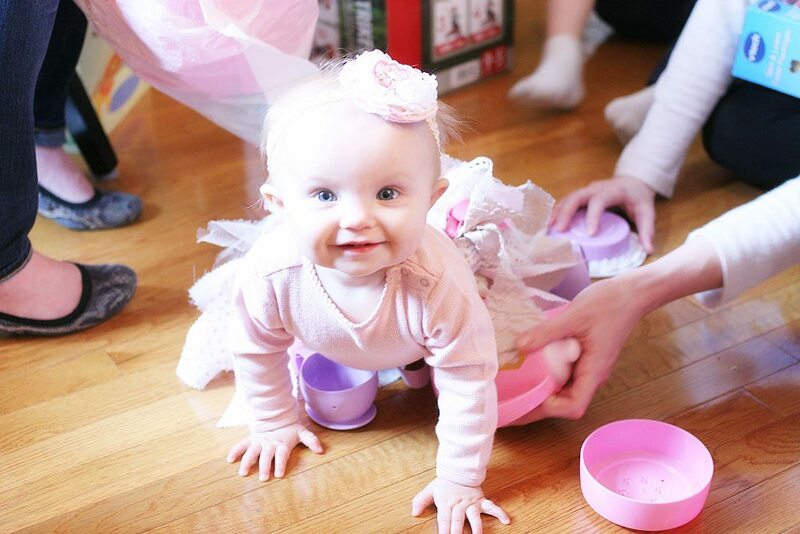 Over the weekend we celebrated my daughter’s 1st Birthday. **Amazon Affiliate Links included in this post. 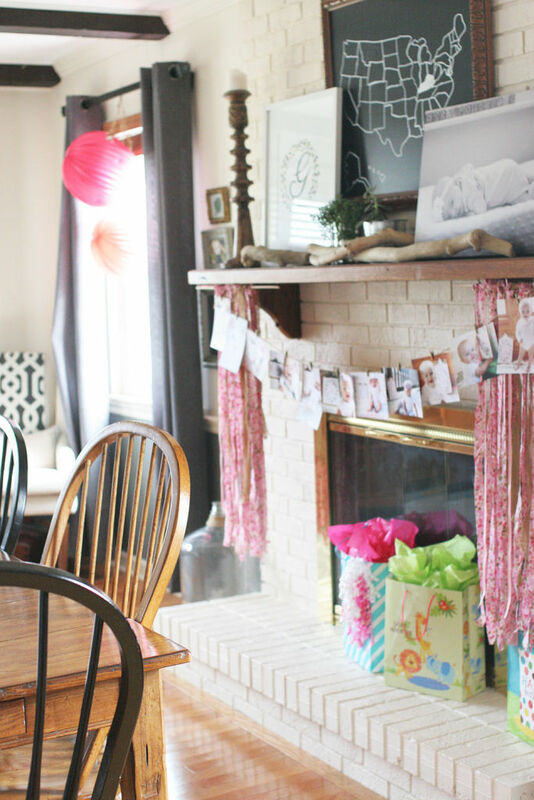 I had decorations from my sister-in-law’s bridal shower that were perfect to create a vintage baby girl first birthday. 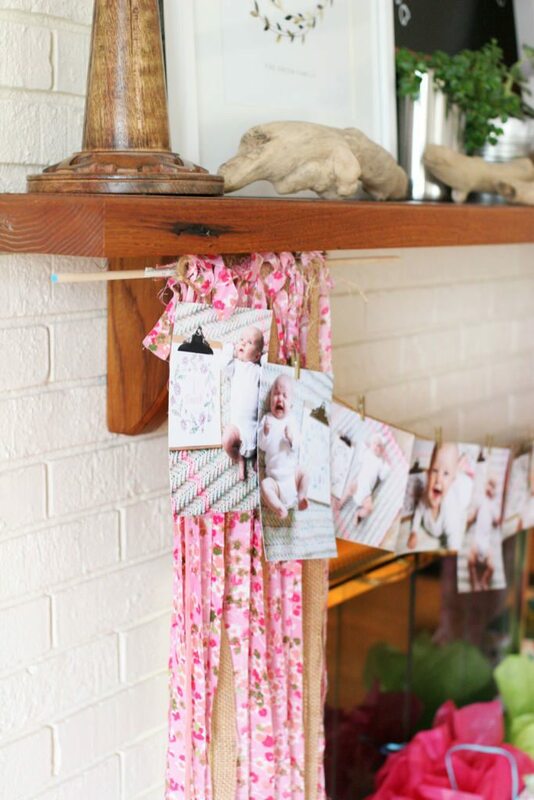 Strips of fabric tied onto a dowel rod make an easy backdrop. Her monthly photos clipped onto twine are a simple way to celebrate how she has grown over this first year. By the way, I find that these tiny clothespins come in handy often – they are great to have in your craft stash. 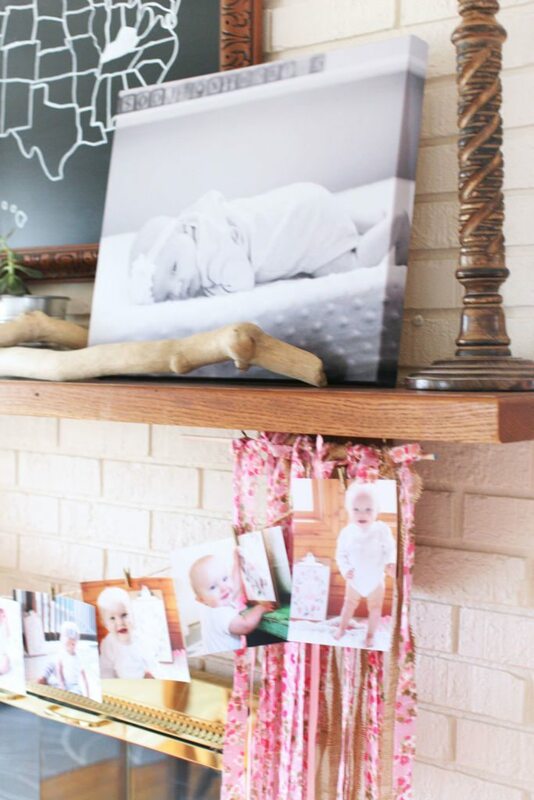 I leaned her newborn photo canvas on the wall above the mantle. 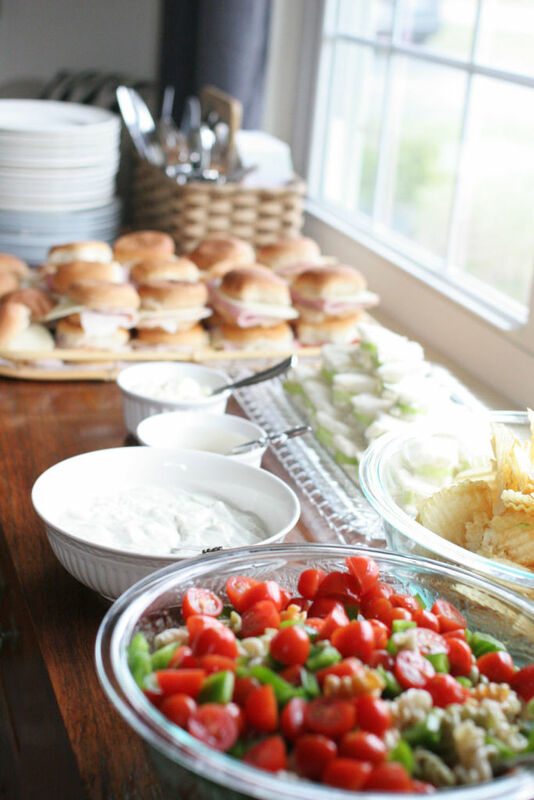 We enjoyed a light lunch with a few different teas. 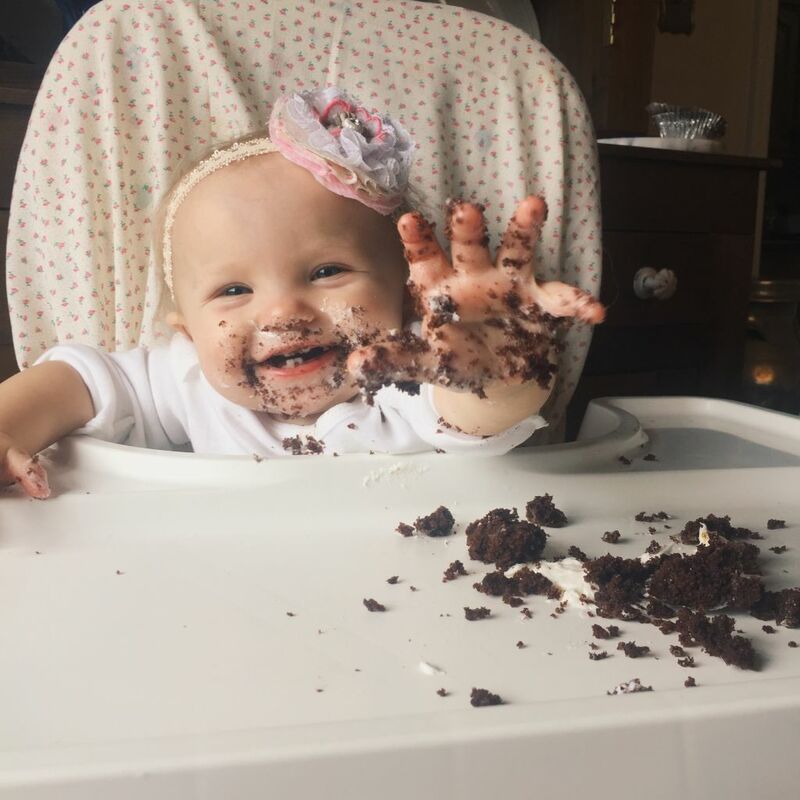 My daughter was crazy for the cake. 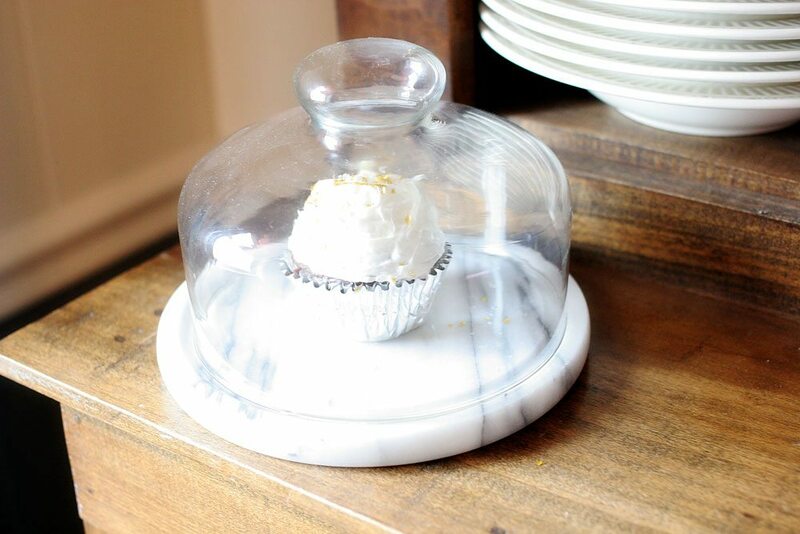 I like cupcakes for first birthday parties, so that the child has their own mini-cake instead of a slice. It’s been a fast year; but I’m so thankful for this sweet girl. Her brother adores her and she thinks he is the coolest. I love to see their excitement each day when he gets home from preschool. Right now, she’s into standing on her own and taking steps here and there. She finds tons of excitement in climbing on anything – especially her little rocking chair. I always know when she has climbed up on it due to her squeals of delight. Sweet baby, we love you. Awww! 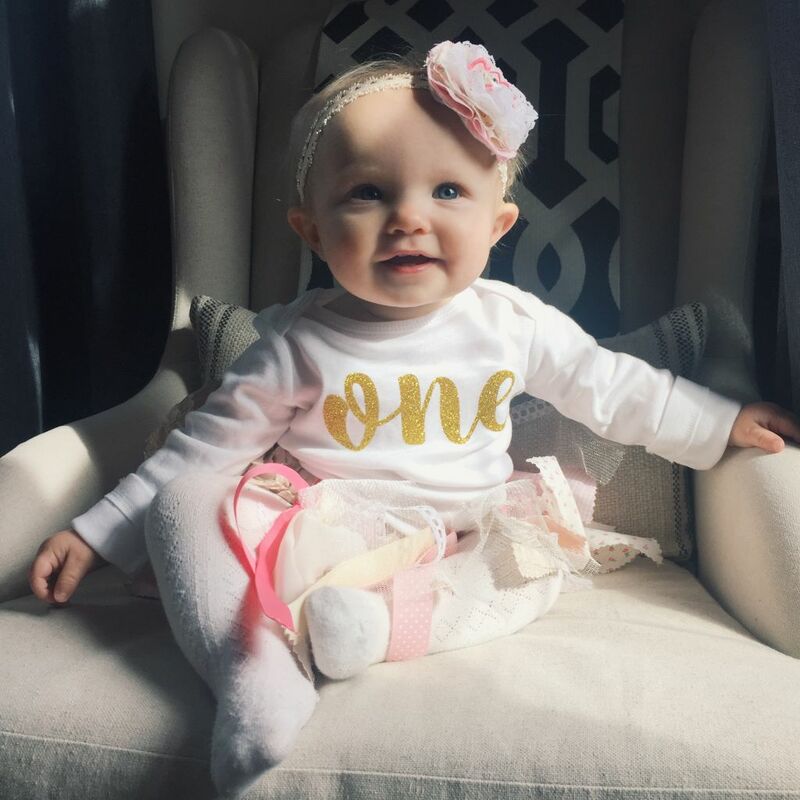 Happy first Birthday to your sweet baby girl Lora! Thanks so much, Ashley!! Also, so sorry I’m just now replying to this — usually I’m more on top of comments; but this totally missed me earlier this week. I’ve done Liebster before; but so appreciate the nomination 🙂 Vintage stuff is pretty much my fave — for parties, decor, clothing accessories — so I’m going to have to check out your son’s birthday. We did vintage toys for my son’s nursery in our old home and I loved collecting them from flea markets and garage sales.